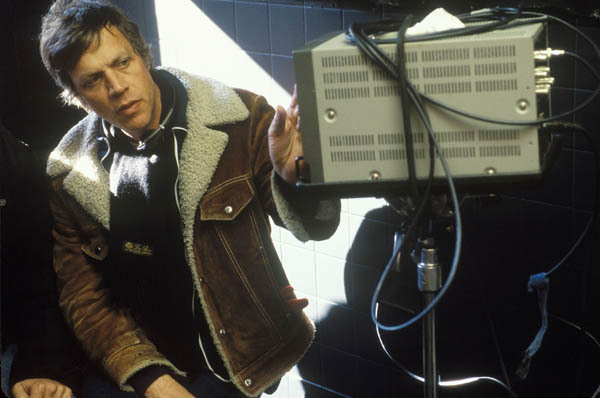 Writer/director and Academy Award nominee Todd Haynes, a 1985 graduate of Brown University will speak about his work on Friday, April 11, 2003, at 3 p.m. in the Salomon Center for Teaching and again on Saturday, April 12, 2003, at the Cable Car Cinema, following a 4:15 p.m. screening of his film Far from Heaven. Both events are free and open to the public. PROVIDENCE, R.I. – The work of writer/director Todd Haynes, the Academy Award-nominated screenwriter of Far From Heaven (2002) and a 1985 graduate of Brown University, will be the focus of a series of events planned for April 10-12, 2003, sponsored by the Department of Modern Culture and Media. Haynes will speak about his work following a screening of his short film Dottie Gets Spanked (1993) on Friday, April 11, at 3 p.m. in the Salomon Center for Teaching, located on The College Green. The session will be moderated by Michael Silverman, chairman of the Department of Modern Culture and Media. Haynes will also speak about his films on Saturday, April 12, at the Cable Car Cinema, 204 South Main St., following a 4:15 p.m. screening of the award-winning Far From Heaven. Both events are free and open to the public, as are the screenings of Haynes’ films at the Cable Car Cinema April 10-12 (see schedule below). There will also be a free screening of two films that influenced Haynes, All That Heaven Allows (1955, directed by Douglas Sirk) and Reckless Moment (1949, directed by Max Ophuls), Thursday, April 10, at 7 p.m. in Carmichael Auditorium, Walter S. Hunter Laboratory, 89 Waterman St.
Haynes will lead a closed workshop for pre-registered Brown students on April 11. A public conference on his work is scheduled for Saturday, April 12, from 1 to 4 p.m. in the main lounge of the Gregorian Quad, 101 Thayer St., with panelists Mary Ann Doane, Lynne Joyrich and Michael Silverman – all faculty members in the University’s Department of Modern Culture and Media – and Patricia White of Swarthmore College. Born in Los Angeles in 1961, Todd Haynes grew up in nearby Encino, Calif. and developed an interest in filmmaking at a young age; he produced his first short film, The Suicide, in 1987 while still in high school. While earning a bachelor of arts in arts and semiotics at Brown, Haynes directed his first film, Assassins: A Film Concerning Rimbaud (1985). In 1987 he attracted attention and stirred controversy with his film Superstar: The Karen Carpenter Story, a 43-minute film cast with Barbie and Ken dolls. His acclaim – and controversy – grew when Haynes made his feature directorial debut in 1991 with Poison, an exploration of homosexuality, alienation and death, based on the writings of French author Jean Genet. The film won the 1991 Sundance Festival Grand Jury Prize, but also drew the ire of the right-wing American Family Association and its leader, the Rev. Donald Wildmon, because it was partially funded by a grant from the National Endowment for the Arts. Haynes’ subsequent credits include Dottie Gets Spanked, a made-for-television short, and the full feature films Safe (1995), Velvet Goldmine (1998) and the critically praised Far From Heaven. Tickets for the films are available at Cable Car Cinema at 11 a.m. for that day’s screenings. A ticket guarantees a seat until 15 minutes before the beginning of each film. After that time seats are available on a first come, first served basis. For information, call (401) 863-2853.